Learn how to hide your property listing from the search results. You'll be able to make your rental visible again in one click. 2. 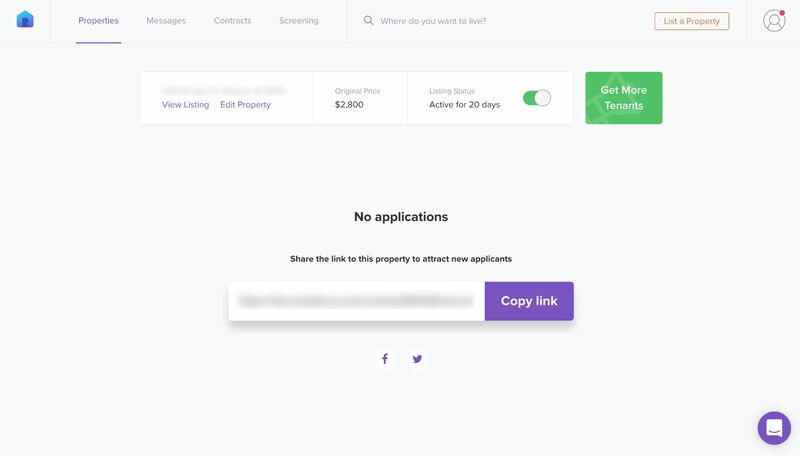 Click on the 'Properties' button on the top menu of your screen. 3. 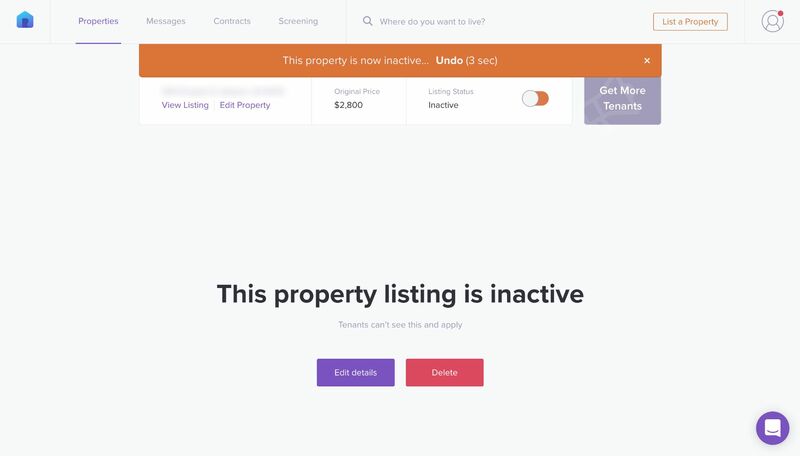 Click on the 'Properties' button on the top menu of your screen. 4. You'll see a switcher near the 'Listing Status' block. By clicking on it, you can activate and deactivate your listing. Click on it to deactivate it. 5. Once your property listing is inactive, you're not able to receive any application. It becomes invisible for applicants and won't be shown in the search results. Please note: You need to activate your expired listing every 20 days.